This wonderful early flowering Clematis will spectacularly add colour to the garden or patio during the spring. 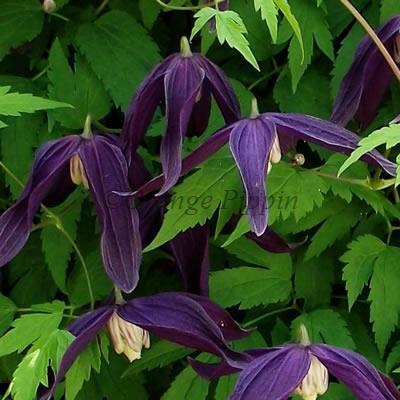 Clematis 'Spring Velvet' will freely produce masses of deep, dark, velvet-purple flowers with cream and purple centres during March, April and May. Clematis 'Spring Velvet' was raised in 2012 and named by John Richards of John Richards Nurseries Ltd, England. This non-evergreen climber can be planted in the garden, trained up a trellis, garden wall, fence, pergola, or planted in a container with bamboo canes or an obelisk for support and placed on the patio, making it suitable for the smaller garden also.